DETROIT – The Toyota Prius is the gold standard when it comes to hybrids. It was the first mass produced gasoline electric hybrid vehicle when it came on the market almost 20 years ago. And over that time, the car has quietly expanded its offerings and now has one half dozen trim lines. For those who may have forgot, what makes a hybrid a hybrid is a gasoline engine working in conjunction with electric motors or generators to put power to the wheels of a vehicle. Those generators get power from a lithium-ion battery. And the car can collect some of the battery’s power from regenerative braking. 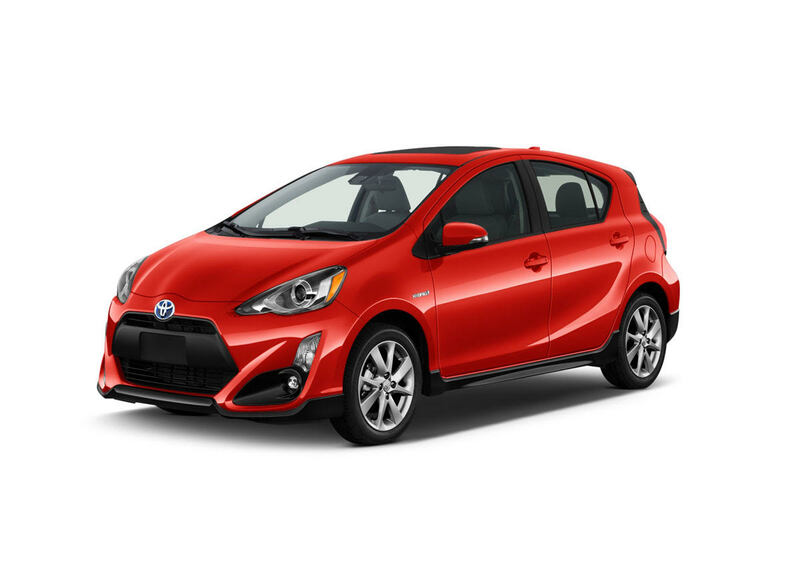 The fourth generation of the Prius was powered by a 1.8 liter four cylinder engine and two electric generators mated to a continuously variable transmission or CVT. The car had shift by wire technology that sent electronic signals from the shifter that was mounted in the lower part of the dash to the transmission. The lithium-ion battery was smaller and lighter than the nickel-metal hybrid battery pack that it replaced. Its size allowed it to be placed under the rear seat rather than in the trunk. That made a difference as we prepared for a quick run to Chicago. The liftback had more than enough room to swallow a garment bang, a birthday present and a duffle bag. There was plenty of room inside. And though the Prius had normal and power drive modes we left it in normal. The Prius conserves energy even when it’s slowing down. The regenerative brake system switches the electric motor into a generator to recover the wheels’ kinetic energy as electrical power, storing it in the hybrid battery. That’s about the only thing we felt in the powertrain when there was occasion for some hard braking. What makes a Prius a Prius is fuel economy. Our test car had an EPA rating of 54 MPG in the city, 50 on the MPG highway and 52 MPG combined – on regular-grade gasoline. In our real world driving, the 2017 Prius Three averaged 40 mpg. That was for a 700 mile round trip to the Windy City with plenty of driving in-between. About the only thing we griped about was the acceleration of the Prius. Combined, the engine and the electric motors made 120 horsepower and 105 pound-feet of torque at 3,600 RPM. Quick assertive starts and sustained acceleration are not its strong suit. Still, it was an easy ride. At 3,080 lbs., the Prius Three Touring was pretty nimble. Its MacPherson front suspension and double wishbone suspension in the rear provided stability on streets and on I-94. We got caught in lake effect snow on the way back here and the car accounted itself well. There was no slipping and sliding and the Prius inspired confidence which meant a lot after all traffic was forced off the Interstate onto detours. It was bitterly cold too. That brought to mind the other thing we quibbled about, the car didn’t have a heated steering wheel nor did it have heated seats. But we had our own; they’re called gloves and a coat. The Prius had plenty of creature comforts. It was equipped with Entune™ Premium Audio with Integrated Navigation and App Suite – included the Entune Multimedia Entune™ Premium Audio with Integrated Navigation and App Suite – includes the Entune Multimedia Bundle (7-in. high resolution touch-screen with split screen display, AM/FM CD player, 6 speakers, auxiliary audio jack, USB 2.0 port with iPod® connectivity and control, advanced voice recognition, hands free phone capability, phone book access and music streaming via Bluetooth® wireless technology), Siri® Eyes Free, Entune ® App Suite, HD Radio™, HD predictive traffic and Doppler weather overlay, AM/FM cache radio, SiriusXM® Satellite Radio with 3-month complimentary SiriusXM All Access trial, Gracenote® album cover art, and integrated backup camera display. The Entune® App Suite – included Destination Search, iHeartRadio, MovieTickets.com, OpenTable®, Pandora®, Facebook Places, Yelp® and Slacker Radio; real-time info including traffic, weather, fuel prices, sports and stocks. Amongst its safety equipment were a pre-collision system with pedestrian detection, lane departure alert with steering assist, auto high beams and full-speed dynamic radar cruise control. For $28,115 as tested the 2017 Toyota Prius Three Touring was a great hybrid for the environmentally conscious driver.